Troy Edward Baker has perhaps one of the most impressive resumes on earth. 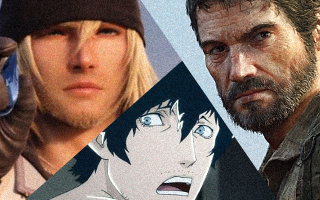 His voice acting for video games alone is enough excuse to write a whole post. Check out just some of the characters he has voiced. Yes, there is more. Have a gander at this massive list, straight out of Troy Baker's Wikipedia page. Before they made The Last of Us, Naughty Dog made the Uncharted series, featuring Nolan North as Drake. Here is a panel with Troy Baker and Nolan North in the same room. It's an hour long, so they talk about a whole bunch of stuff. Just for the fans.